This series of webinars is designed to provide insight into each aspect of the Meaningful Use criteria. Not able to attend the live session? No worries! You can register to receive the on demand (recorded) version. For live participants, you will have access to participate in both the live session as well as receive access instructions to the recorded session. If you are just getting started with Meaningful Use, then this Meaningful Use 101 webinar is just for you. Listen in as a simple overview of the EHR Incentive Program is discussed and what the Meaningful Use objectives mean to your organization. What is the EHR Incentive Program? How do you report to CMS? Alicia Collins, RHIA, is a Health Information Technology (HIT) Specialist for Qsource Health IT Consulting, a division of Qsource. She assists physician practices in implementing Electronic Health Records (EHR) and provides guidance and support to those practices to achieve Meaningful Use. Collins received her B. S. in Health Information Management (HIM) with highest honors in 2006 from the University of Tennessee Health Science Center. After graduation, she worked at Regional Hospital of Jackson as the HIM Operations Manager. She facilitated and supervised the daily activities of the department with an increased focus on physician relations. In 2011, Collins accepted the Assistant HIM Director position at Pikeville Medical Center in Eastern Kentucky. While serving in this position, she helped improve the EHR workflow and served as the liaison between the HIM department and information technology (IT) services, as well as, 3rd party vendors. In late 2012, Collins became an implementation consultant for Healthcare Management Services (HMS). She worked with multiple facilities simultaneously to educate and implement HMS EHR services. 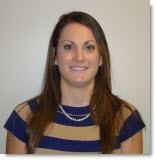 Natalie Frady, RHIA, CPEHR, is currently the manager for Qsource Health IT Consulting. She assists physician practices in implementing EHR and provides guidance and support to those practices to achieve Meaningful Use. Frady also assists providers, hospitals, and other organizations in implementing Direct messaging. She received her B.S. in Health Information Management with honors in 2005 from the University of Tennessee Health Science Center. After graduation, Frady worked at Baptist Hospital-Memphis as an HIM Supervisor. She managed the scanning, quality control, and verification of the medical records. In 2007, Natalie accepted the HIM Senior Systems Analyst position at Methodist Healthcare Corporate. She served as the liaison between the hospitals HIM departments and the Corporate IT Department. Frady is an active member of American Health Information Management Association (AHIMA), TN Health Information Management Association (THIMA), and Michigan Health Information Management Association (MHIMA). She has served in multiple capacities including President for the MHIMA. Frady has also served on several THIMA committees including the Nominating committee. She is currently serving as the chair of the THIMA HIE Task Force and is also an Action Community for e-HIM Excellence (ACE) member. Ann-Marie Wood, CHSP, CPHIT, brings more than 17 years of healthcare experience in EHRs implementations, project management, quality assurance, documentation and training, as well as business analysis. Currently she is a HIT Specialist for Qsource Health IT Consulting. Her previous experience has been gained from positions as a project account manager, an EHR implementation coordinator, and a senior quality assurance specialist. She holds a B. A. of Management Information Systems Degree from Auburn University, is a Certified HIPAA Security Professional (CHSP) and Certified in Health Information Technology (CPHIT). 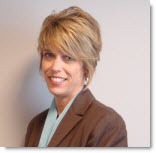 Christa Thompson, CPEHR is currently an HIT Specialist for Qsource Health IT Consulting, a division of Qsource. Thompson offers more than 20 years of experience in information technology holding positions ranging from user support to project management. Prior to joining tnREC in March 2011, Thompson gained extensive experience in project management while overseeing a migration of many disparate systems into one information technology suite where she was responsible for budgeting, specification gathering, and implementing of the system. Thompson holds a degree in Information Technology. She is a Certified Professional in EHRs as well as a certified Project Management Professional. Thompson is making significant contributions in the areas of business process evaluation and promoting behavioral changes required for successful implementation of information technology in the healthcare environment and improving overall patient care. Denise Satterfield, B.S., CPHIT is the Middle Tennessee HIT Specialist for Qsource Health IT Consluting, a division of Qsource, where she recruits and assists orgs with the implementation of Direct technology and consults for Meaningful Use. She received her B.S. in Business Administration from UT Knoxville in 1992. Satterfield was an accomplished pharmaceutical sales and training professional for twenty years before moving into the health information technology field. Pat Pope, CPHIE, is currently an HIT Specialist for Qsource Health IT Consulting. The project started as a pilot and then was expanded to offer assistance for up to 4000 participants. Pope excelled in her recruitment activities due to her ability to explain Health Information Exchange (HIE). 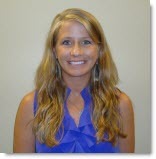 Her knowledge on HIEs began when she was offered a position at CareSpark as the Provider Relations Coordinator in 2009. This was during the evolution of Health Information Exchange period. CareSpark was noted as being one of the first HIEs with full exchange of CCDs. This was a great opportunity to understand concerns at the organizational level down to the patient level. During this time, she was able to work with multiple vendors who were programming their product for electronic exchange capability. She worked with multiple legal councils and boards on the development of a Data Sharing Agreement. CareSpark seized operations in 2011. Pope received her Certified Coding Certificate in 2005 and began the Abingdon Chapter. She held presidency in 2005-2006. Recently, she has become a Certified Professional in Health Information Exchange. Pope has been active in many community clubs and charters, one being the Circle of Red, American Heart Associations. Pope was involved in many media events explaining nationwide health information exchange, one of the most noted is HIMSS 2011.